Hello. My name is Jacki and I am currently a Science/Chemistry Teacher at Macleans College. I can provide tutoring in NCEA Level 1 Science (including Chemistry, Biology, & Physics), NCEA Chemistry Level 2, and NCEA Chemistry Level 3. I was born and raised in the United States of America but immigrated to New Zealand 3 years ago. I have a B.S. in Biomolecular Science from Clarkson University and an M.A. in Teaching & Learning from New York University. I am friendly, outgoing, enthusiastic, and dedicated to my students. My goal is help each student achieve their very best. I am well versed in pedagogy and working with a variety of students at different levels/abilities. Together, the student and I will work together to create a plan to not only improve the student's marks, but to gain study skills that they can take with them to future course. We start by breaking down the material into clear, concise bits - making sure each student understands the basic concept(s) involved in the topic. Worksheets and notes can be provided to assist in areas/skills where the student struggles. Then we'll move on to applying this knowledge to test questions: does the student understand the questions they way they are asked, do they know how to break it apart to see what is required in the answer, and do they have a knowledge of linking words to help guide them through each question? JackiFrom Andy (5/5): Jacki is a very friendly teacher and my son just started the class with Jacki 10 days ago, he has liked and enjoyed the lesson so much, because Jacki has indicated his knowledge point that he need improvement very clearly. We are very confident that my son will make the great progress with the guide of Jacki. JackiFrom Trina (5/5): Jacki is currently tutoring my daughter in Chemistry NCEA level 2. My daughter is enjoying the tutoring and finds Jacki very skilled and knowledgeable about all the areas that we need help. Jacki is friendly, easy to talk to and very flexible with times and will always try to accommodate us. Everything went great until we tried to contact Jacki and have not heard from Jacki since contacting her via the details you supplied. Would really like to get this sorted so my daughter can start her tuition. Reply from: Jacki: Hi Sharon. I was away for 3.5 days while attending the Year 9 Camp for the school I work at. I understand that my being out of contact seems to have been frustrating for you. I had sent you a couple of emails before reading this. As your comment is public I felt that my response should also be public. Thank you for your understanding and I look forward to working with you. 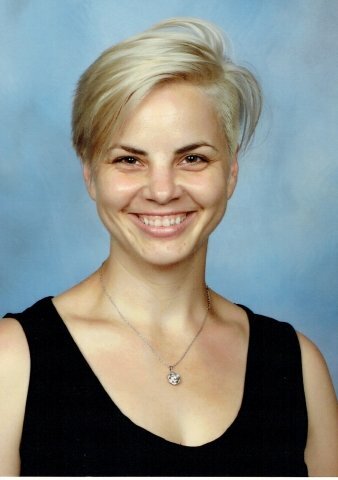 JackiFrom Jocelyn (5/5): Jacki was a great tutor who helped my Year 12 student immensely. She explained concepts clearly and provided lots of examples that my daughter could work on at home. Her results showed great improvement! Thanks so much Jacki! JackiFrom Linda (4/5): My daughter had one session with Jackie as she is a very popular lady! She was really happy with the tutoring and we are disappointed that she seems to have so few regular spaces at the moment. Thanks Jackie. JackiFrom Alina (5/5): A Great tutor… Jackie took me from a not achieved in Chemostry to getting an Excellence endorsement in a few months. JackiFrom Susan (5/5): My son has found Jacki very easy to relate to and she has been very helpful tutoring him in NCEA level 1 chemistry and science.